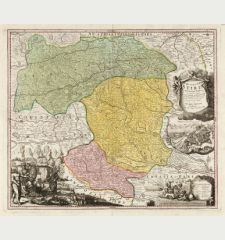 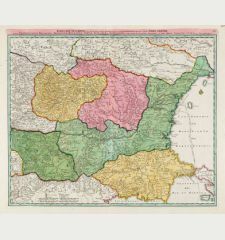 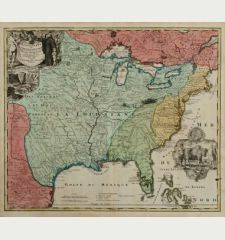 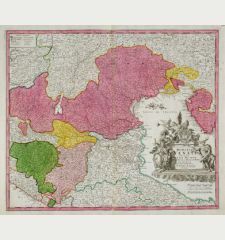 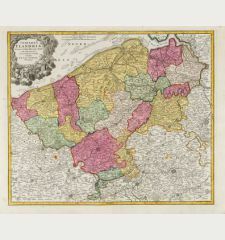 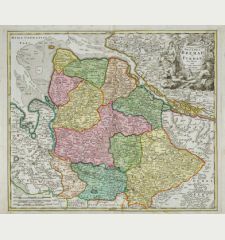 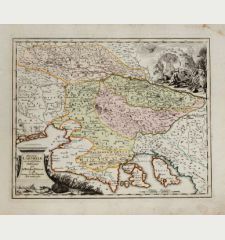 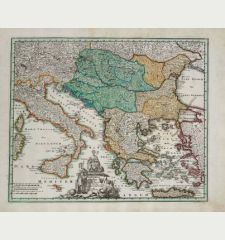 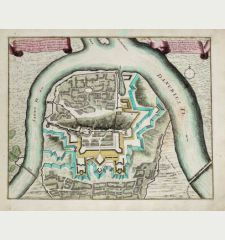 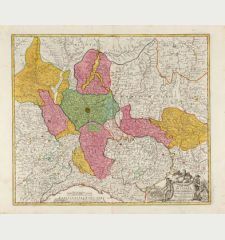 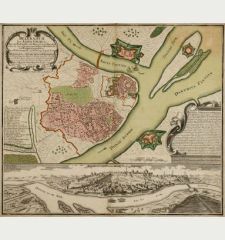 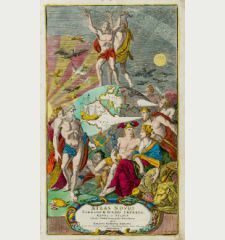 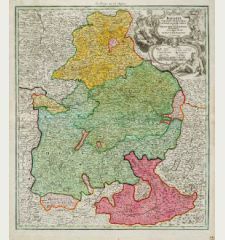 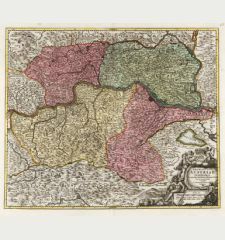 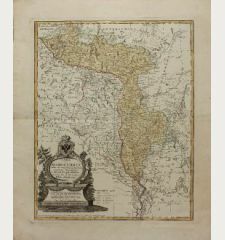 Old coloured map of the former Duchy of Carniola (Kranjska) by Johann Baptist Homann. 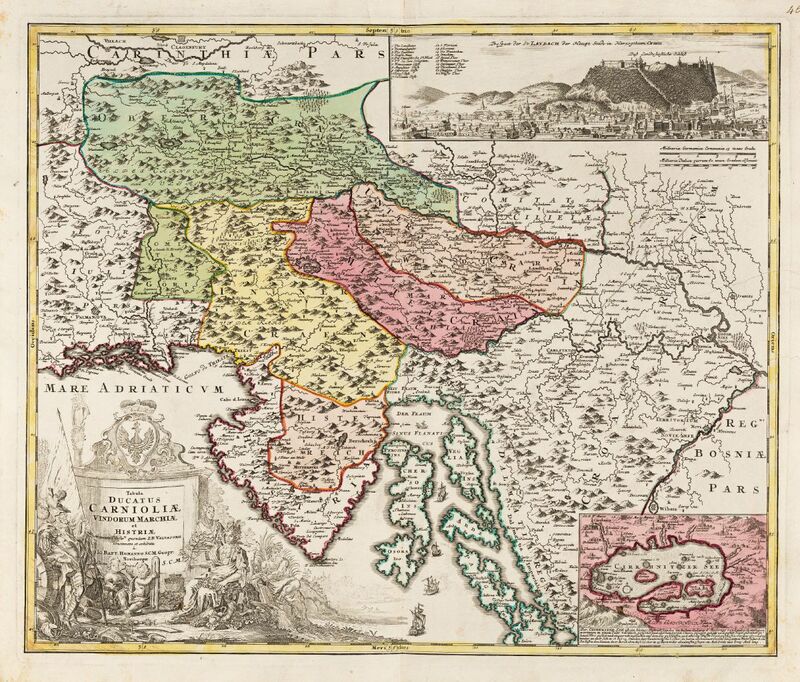 Shows today's Slovenia and Croatia. 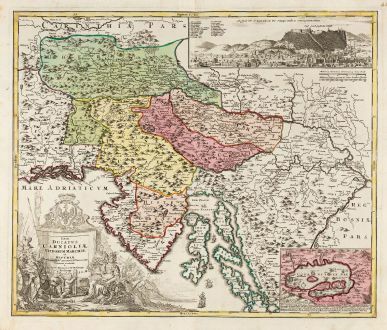 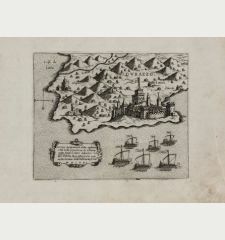 From Villach and Klagenfurt in the northwest and from Palmanovo over Trieste along the Croatian coast. 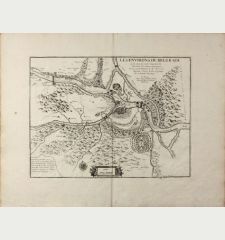 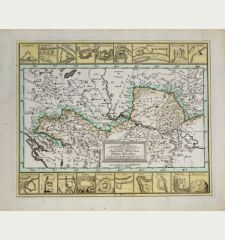 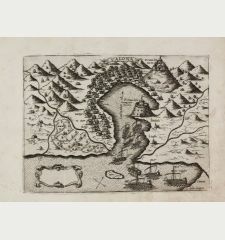 With an inset map of the Lake Cerknica (Cerkniško jezero) and a great view of Ljubljana (Laibach). 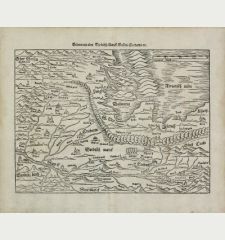 A beautiful, elaborately finished title cartouche on the lower left. 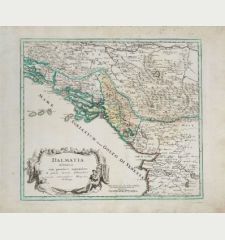 Johann Baptist Homann: Tabula Ducatus Carnioliae Vindorum Marchiae et Histriae.